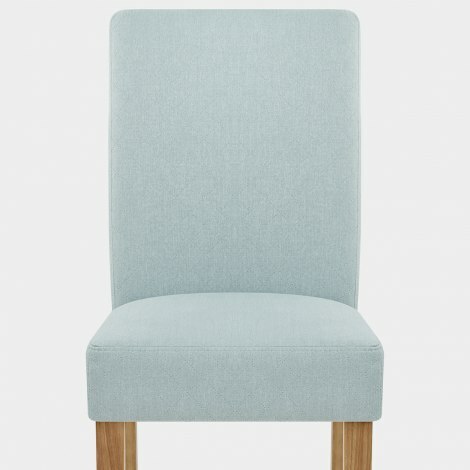 The Austin Dining Chair Duck Egg Blue is a classic item that has been given a modern update in a delightful shade of blue. With a timeless design like the Austin, your dining area is sure to be the stylish focal point of your home for years to come. A subtle textured diamond design adorns the seat for visual interest, which is enhanced by the duck egg blue fabric upholstery. 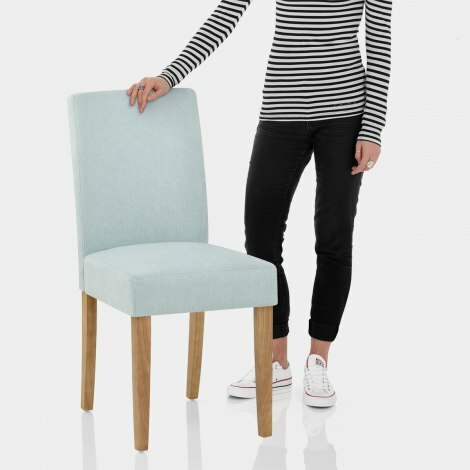 The seat also has a sprung and belted frame for incredible comfort, while a tall backrest is designed to offer you the best support. In solid wood, the four legs create a strong base and have a charming oak finish to complement a range of spaces. Each leg is also capped with a protective floor plug to take care of your surfaces.